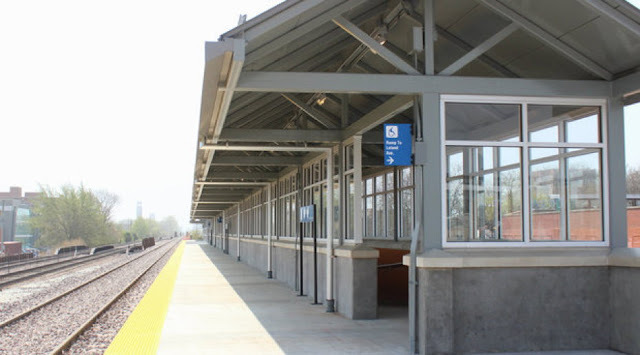 Robberies have been reported at two North Side train stations since 1:30 this afternoon. 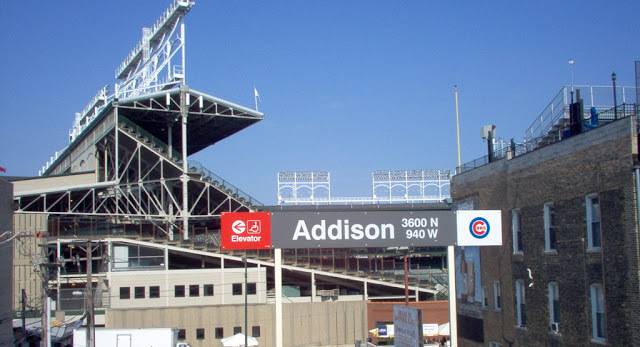 Shortly before 2 o’clock, a man walked into the 19th District police station to report being jumped and robbed by four men at the Addison Red Line station, 940 West Addison. The man said the attackers stole a silver necklace after they jumped him between Sheffield and the train tracks, police said. All four men climbed into a black Chevy Malibu that was last seen heading northbound in the alley. No description was available for the offenders except that they wore black ski masks and may have been in their late teens or early 20’s. Then, a Lakeview boy reported that he was robbed at gunpoint inside the Metra station at 4800 North Ravenswood around 3:15 p.m.
A young, 6-foot-tall Hispanic man dressed in dark clothing and a ski mask displayed a chrome revolver, robbed the boy of his wallet, and then ran away on foot. The victim told police that another victim was also robbed at the same time, but police have yet to hear from that person. Investigators are trying to determine if the offender is a classmate of the victim.